I'm thrilled to offer my 99 cent book, Seeking Catherine, as part of Sweet Romance Reads July Book Blast. This short story is set in the Tudor era, and the hero is a Romany Gypsy. Seeking Catherine is a sweet/spicy short story! Even better, if you subscribe to my newsletter, Seeking Catherine will be sent to your inbox, FREE! I LOVE my British narrator's voice, so consider purchasing the audiobook, also. 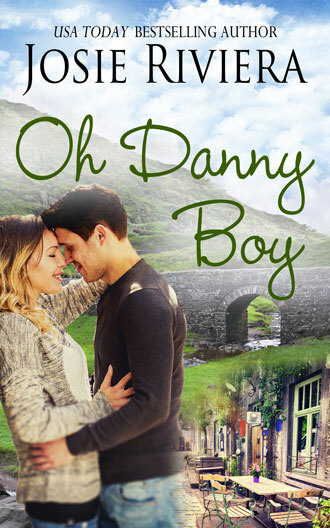 And, if you can't get to Ireland this summer, Oh Danny Boy, my newest sweet romance release, will take you to the Emerald Isle. Snag your ebook or paperback copy today! And don’t forget to sign up for the Sweet Romance Reads newsletter. Scroll down the right side of our blog and enter your email address under Newsletter Signup. Our Sweet Christmas Kisses 4 pre-launch party is coming soon! Stay tuned for exciting details, as this party is so much fun!! Thanks for sharing these, Josie! Thanks for stopping by, Shanna!